This beautiful vase is perfect for any floral arrangement. 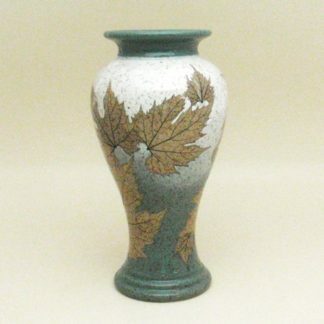 Measures approximately 10 1/2″ tall. 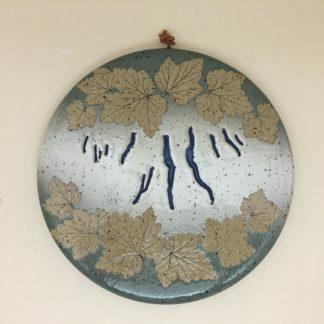 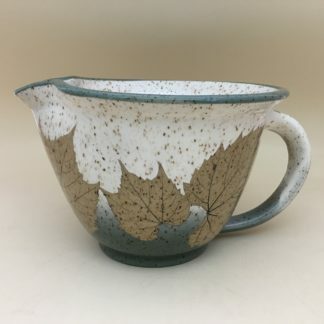 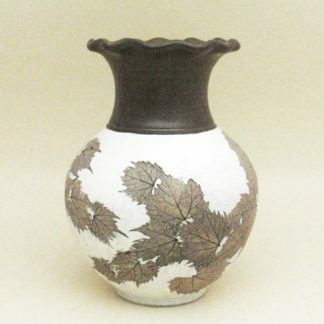 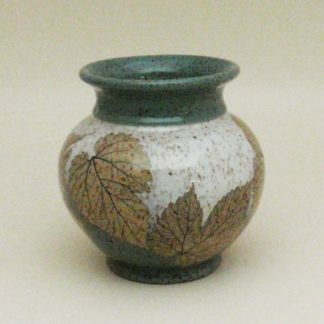 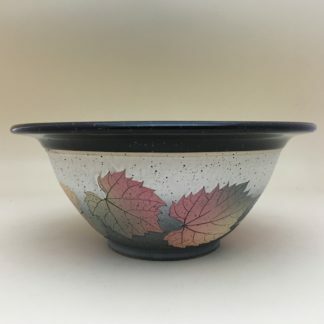 Decorated with tan wild grape leaves on a green and white background, finished with a shiny glaze. LEAF PLACEMENT may vary slightly from picture.